Sinuses are cavities located in the bones of the face. These spaces are normally empty, but nevertheless play an important role in the respiratory system. Inflammation of the sinus or sinuses is known as sinusitis. Inflammation is usually caused when allergens, such as dust, pollen, mold or chemicals, damage the lining of sinus cells. Common cold virus is also known to provoke sinusitis. Inflammation is followed by mucus secretion and blockage of the sinuses. Fluids can accumulate in sinuses, and when they reach certain mass it affect the ears and leads to dizziness. Most people experience symptoms similar to common cold. They could have problems with the fever, tiredness, weakness, cough, sneeze and different nose problems (dripping, runny nose, congestion). Sinusitis can also lead to jaw and teeth pains. Dizziness caused by sinusitis happens when the inflammation affect the ears and is commonly called vertigo. Other cause might be the inflammation of the area around the eyes, which also have started as sinusitis. Patients feel disoriented, unstable and can’t stand straight. People complaining about swollen (or inflamed) eyelids experience headache after getting up in the morning. The treatment is fairly simple – take some time off. Working while having sinus infection might prove as mission impossible, so take some rest. Dizziness is just a consequence and sinusitis is the thing that should be treated. Once, you cure the sinus inflammation, dizziness should go away. Proper rest and medications or decongestants usually take about 14 days to clear off the infection. Most specialists recommend strengthening the immune system and avoiding potential allergens, to prevent return of the infection. Sinus infections caused by bacteria are treated with antibiotic medications. Doctors recommend antibiotics capsules to be used several times a day. Antibiotics travel through the body into the blood and when they reach sinus cavities, they destroy the harmful bacteria and banish the infection. 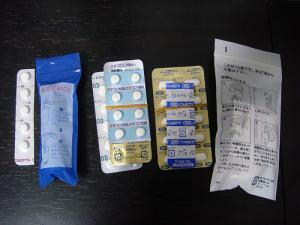 Make sure to use these drugs precisely as the doctor prescribed, and as long as he/she advised. It is important to follow doctor’s orders, even if you already feel alright and don’t have any more symptoms. Viral sinusitis can’t be treated with antibiotics, since these medications don’t affect viruses. Doctors usually prescribe nasal decongestants and sprays, or sometimes steam inhalation, in order to decrease the inflammation. Sinusitis can be associated with severe headache, and in those cases specialists advise inhaling the steam with some eucalyptus essential oil drops. Chronic sinusitis is diagnosed when someone experiences a number of recurrent sinus infections. Ear, nose and throat specialist performs a surgical procedure, removing part of the sinus that is permanently inflamed. Is there a cure for sinusitis? Neck Pain connected with sinusitis? How do you get relief from nasal congestion if you can't take decongestants?